​Chelsea look to be winning the race for Bristol City teenager Antoine Semenyo, and could be close to completing a deal after the forward was recalled from an impressive loan spell with League Two side Newport County. The Exiles are enjoying an FA Cup fairytale at present, famously knocking out Premier League side Leicester in the fourth round before earning themselves a replay with a stoppage time equaliser against Middlesbrough at the weekend. 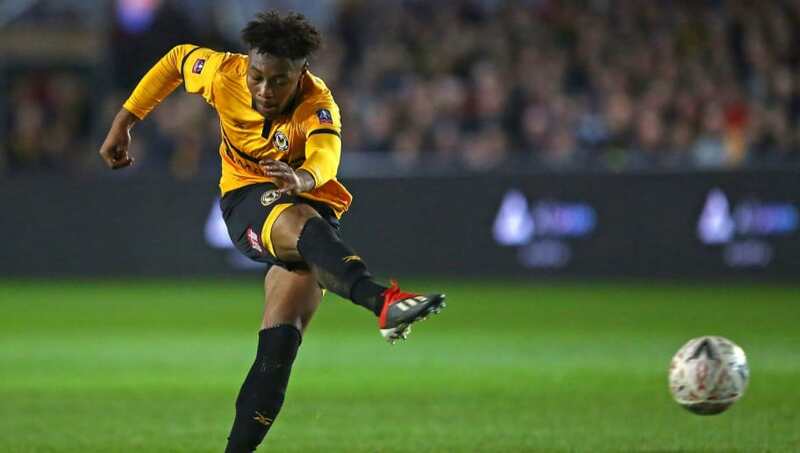 19-year-old Semenyo scored six goals in 32 appearances for Newport, including both famous FA Cup results, before Bristol City announced his return to Ashton Gate on Sunday evening. Now it seems as if the spotlight earned by the surprising cup run could be about to earn the youngster a high-profile switch to Stamford Bridge. ​BristolLive claim a deal is close to getting over the line, with the 19-year-old set to link up with ​Chelsea's youth set-up after completing his move. #BristolCity have recalled Antoine Semenyo from Newport County. A bid is thought to have been made last week, and an announcement could be made as early as Monday evening. It has previously been reported that £2m would be enough to sign London-born Semenyo, ​while Manchester United were also named as a potential suitor for the rising star. Semenyo has made a serious impression in the lower leagues in recent years, with impressive spells with Bath City and County coming either side of his first-team debut for ​Bristol City last May.